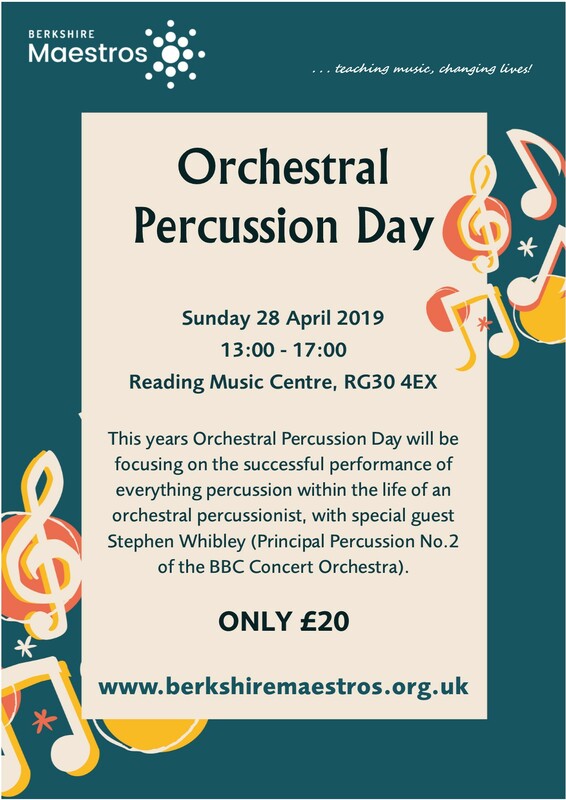 This year's Orchestral Percussion Day will focus on the successful execution of everything multi percussion within the life of an orchestral percussionist. Our guest tutor Stephen Whibley (Principal Percussionist with the BBC Concert Orchestra) will guide students through the process of analysing and marking up parts, look at what equipment to use and how best to set it up/lay it out and look at/work through a range of repertoire from solo and chamber ensemble to large ensemble and orchestra. This course is ideal for anybody who plays percussion in an ensemble from beginner to advanced, conductors who would like to understand a little more and help out their percussion sections, and/or anybody who is currently tackling or looking to tackle a solo multi percussion piece. Not exclusive to Maestros students! Full details and information on how to enrol can be found on our website here.